Mardi Gras is almost here! Have you REGISTERED?? Admission is absolutely FREE and we still have space available (max. 750)! 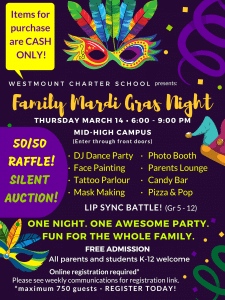 Join us on Thursday, March 14, 2019, 6-9pm. Entry is through the front doors of the school. Parent and grade 7-12 Volunteers are still needed to help make this event a success! All volunteers will receive pizza and a soft drink for helping out. No police clearance is necessary. 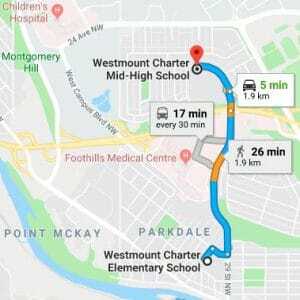 To volunteer, email schoolcouncil@westmountcharter.com. 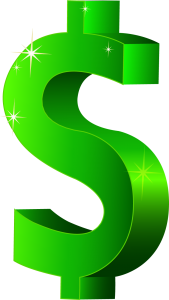 Signup Access Code can be found in previous weeks’ Friday communications. 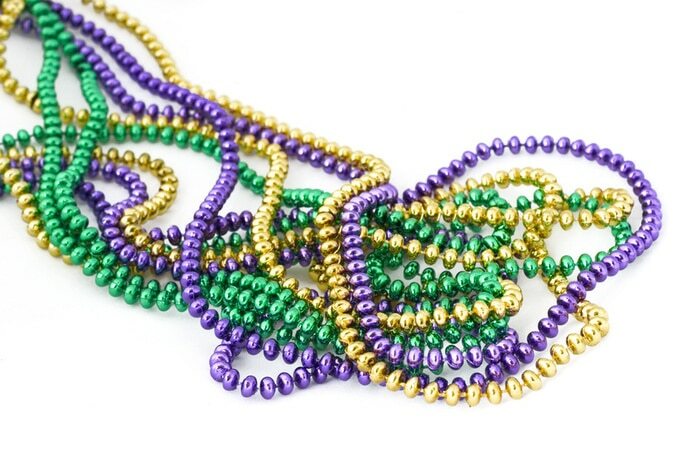 Click HERE to Register for the Mardi Gras Party! A Student Lip Sync Battle!! Lip Sync Battle is open to all students, who will receive a free slice of pizza and pop for participating. To Register, Email Moon K. (email address found in March 1st & 8th Friday communications) with student name, grade no later than March 11. You can also sign up on the ANNOUNCEMENT board across from the MH main office. 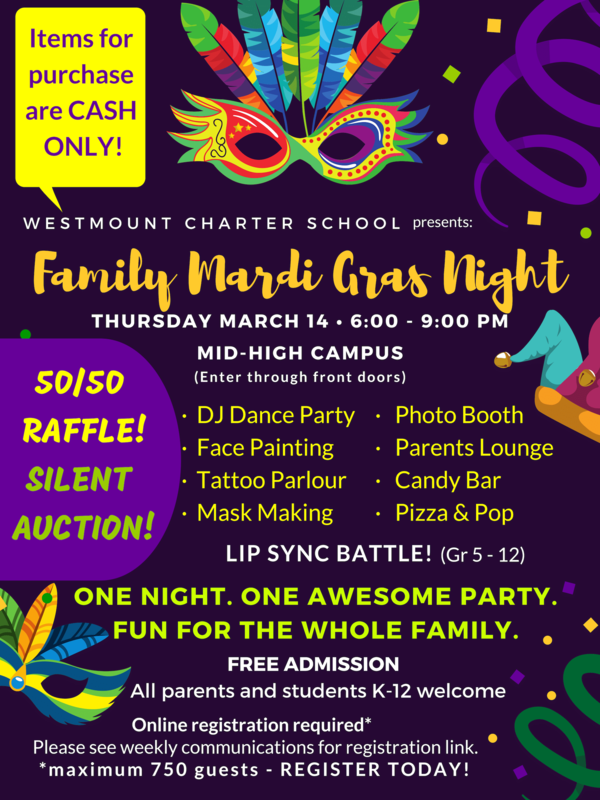 Note that this Lip Sync is separate from the Lip Sync battle being held at the MH school during school hours.